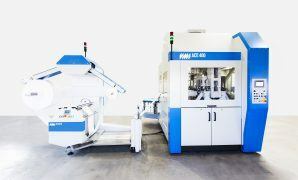 The VMI ACE 250 cotton pad production machine is the first step forward from manual production to fully automatic production of punching and packaging cotton pads. Round, square, rectangular, oval pads or nearly any shape one can image, can be produced with the ACE 250. 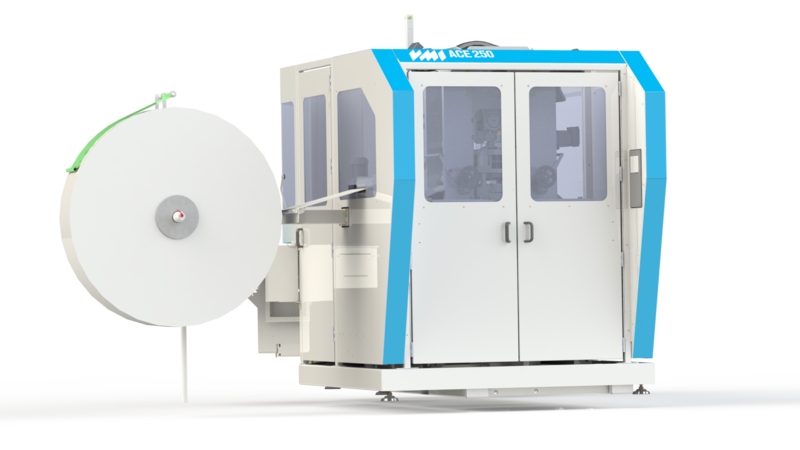 The ACE 250 is characterized by its small footprint and can easily be integrated into existing production facilities. The required maintenance is low, leading to a low cost of ownership. 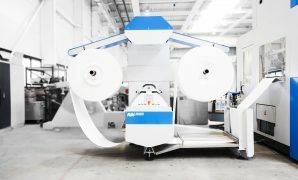 The ACE 250 processes a web width of maximum 300 mm and it can punch and pack up to 30 bags of cotton pads per minute. The pads are produced with a minimum of touching the product and the machine is very easy to operate. The ACE 250 will produce and pack cotton pads of round, square or oval shapes. With the ACE 250, it is possible to make the first step towards fully automatic production of cotton pads bags. The ACE 250 meets the current requirements to produce hygienic pads. The cotton web is automatically inserted in the ACE cotton pad production machine with the unwinder unit. The punch unit with dies, punches the pads out the cotton web in nice stacks into a product carrier. A swift change-over to a large variety of pad shapes by switching product related parts ensures a highly flexible production level. Every format punching tooling such round, oval or square is available in a stitch and non-stitch version. The punched cotton pads are automatically pushed out of the product carriers in bags when the product carriers are full. The numbers of cotton pads depends on the size of the bag and the programmed amount of desired pads per bag. The bag magazine turns after the bags are filled, enabling a new row of bags ready to be filled. The full bags turn to the sealing unit. After the bags are sealed, a conveyor belt transports the bags out the machine for further processing. The web that is left-over from the punching can be recycled. The bag magazine consists of three stations with bags to be filled, enabling the ACE machine to fill, seal and at the same time get an operator to refill a station with empty bags. The ACE 250 processes a cotton web up to a width of 300 millimeters. Depending on the amount of cotton pads in one bag, it can fill up to 30 bags per minute.